The recent household drug use survey revealed that prescription drug abuse is a fast-emerging public health problem that has led to increasing poly-drug use amongst drug dependent persons. It is undermining all efforts to deepen socio-economic development and is associated with crime and lawlessness. Indeed, every year millions of young Nigerians ages between 10-25, are lost to the harmful effect of drug and substance abuse, misuse and addiction. Some lose their mental state, depressed, some bedridden, incarcerated, while the unlucky ones are lost to the cold hands of death every passing day, hour, minute and second as the clock ticks. Most surprising is the fact that before now, it was only the boys that were into doing drugs, now it seems as if the girls have overtaken the boys in these drugs consumption. One of such is Helen, a calm, sweet and loving girl, whose brilliance in academics was the envy of all other children. She excelled in her academic works that her secondary school was early for a child of her age. At 13 years old she was already in her Senior Secondary (SS) class. Her education would have been completed up to the tertiary level at an early age but for the wrong path she took. Helen would go to school just like every normal school days, but unknown to her guardian, who happened to be her aunt; Helen was into bad company who led her into doing drugs. 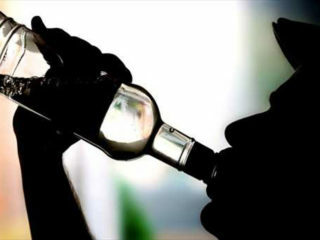 The young teenage girl had lost both her parents at a very tender age, her father died due to excessive substance abuse. Her aunt took her and her younger sister to live with her (aunt). The break time bell would ring; Helen and her friends would be the happiest of all their classmates. They would run to a spot where some group of people, not belonging in that school would come with some strange substance mixed with soft drinks and then gave to Helen and her friends to drink. “They told us that the drinks would make us feel happy and make us more intelligent. I mixed a lot of the drugs just to be high, it made me active and want to get into fight, it made me molest and abuse anyone I want to. I took it because I wanted to be happy,” Helen said. Helen, currently in her 18th year happened to be one of the luckiest teenage girls who overcame the cold hands of death from drug and substance abuse, misuse and addiction. She started doing drugs at the age of 13 years while in secondary school. The brilliant Helen started to drop in her academics due to drug intake which she got addicted to. She narrated her ordeal: “It all started when I was 13 years old in school. There were some people that would come to our school with some substance and mix it in Pepsi or Coke, convincing us to drink, that we would feel happy with ourselves and be more intelligent. So every break period we would go out to take this mixture. We felt high and good. “Everyday when we come to school we were always eager for the break period to come soon and this period made us happy. We ran off to our local point to mix these substances just to get high and angry within us, so we can be violent and rule over our peers. Helen wrote the Senior Secondary Certificate Examination (SSCE) twice and failed, she was not ready to go to school. According to her, she wanted to belong to the gang, be like those into drugs and all that, which” had a lot of effect on me”. She revealed that at the age of 13, the drugs made her date older men of 32 years and beyond. “I dated older men of 32 years, then I felt like a 40-year-old person. The substance made us feel mature. There was this spirit that came upon me when I took drugs, I felt like nothing would happen to me, l was okay. I didn’t want to be anything reasonable in life other than to go to clubs partying, come home and take drugs, have bad friends around – that was all I knew then,” she disclosed. Helen, due to the excessive drug addiction, faced depression, everyone around her scolded her for her rude behaviour, and no one knew she was taking drugs, but only noticed that she was becoming rude unlike the sweet little, humble girl they knew. She never disclosed to anyone she was into drug. “I faced depression, my aunt had complained about my behaviour. She compared me with other children, and then I had low self-esteem and depression because of what she said. 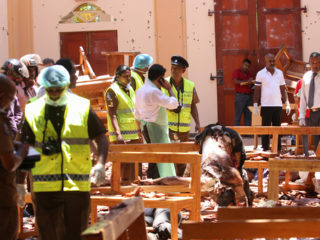 She added: “I will be walking along the road and feel like jumping in front of a moving vehicle just to commit suicide. Sometimes I felt like the world was better without me. “I have lost a lot of friends to drug abuse. When I took drugs most times, I didn’t sleep, I didn’t feel hungry, I stayed isolated like half dead, I could stay without food for two months. Helen continued: “I got out of drugs when I felt part of my body was paralysed. Sometimes I saw blood; I defecated frequently, vomited, and had blurred vision. I thought I was going to die. I called my aunt and told her everything, I confided in her and felt if I died she wouldn’t disclose my cause of death to anyone. “I never supported or believed in religion because I felt God didn’t like me. My aunt said I should pray to God that even if I died, I would do so in peace and God would forgive me of all my sins. Now I am better, making progress. I am back in school, I make shoes and bags, I sew and now I will be going for software engineering,” she stressed. Helen is now recuperating in a rehabilitation home (name withheld) and is doing better. “I want to be something meaningful in life and I regret engaging in drugs,” she sobbed. Helen’s aunt (name withheld) confirmed the story of the young teenage girl. She said Helen never knew her parents because they passed on when she was at a very young age, confirming that her father died of excessive substance abuse. “I noticed that she was becoming violent and then one day her younger sister came crying that she had run away. I checked myself and found that she had run away from the house. I called her and encouraged her and she took that word, she came to Lagos to look for me and by God’s grace she has stopped the drugs. She is not forceful anymore; unlike when you talk to her she shut herself in her room. But now she goes to school and is eager to learn,” she testified. It is estimated that everyday, over 500,000 bottles of codeine are consumed by young Nigerians across the country, the same with the intake of tobacco, Tramadol, Rohypnol, marijuana, Benylin among other opioids, a worrisome and an alarming trend that has obviously eaten deep into the Nigerian fabric with children of all classes having a field day abusing and misusing these drugs. Some youths depend on one form of drug or the other such as tobacco, Indian hemp, cocaine, morphine, heroine, alcohol, ephedrine, madras, caffeine, glue, barbiturates, amphetamines and shisha for their various daily activities. Young girls in Nigeria have also taken to this trend. Ebun, 18, is also a young girl that engaged in drugs early in her life. She said a friend of hers introduced her to where to get the drugs, which made her drop out of school. Her parents never knew she was into drugs because she stayed in the hostel. The euphoria the drugs gave Ebun made her started missing classes. She started spending all her school money on drugs because she needed to maintain the certain level of that pleasure she derived from the drugs constantly. “I had a friend that introduced me where to get the drugs. Drugs made me to start dropping out of school gradually; going to classes never appeased me, I started skipping classes. “I would promise myself of attending class and before I know it I would skip class. Even when I set alarm at different time interval, I still wouldn’t adhere to them. When I decided to go to class I would say let me take one sip just to top up before going to class and that spot was where I would be until it’s night due to the effect from the overdose. “There was a time I was getting skinny because of the effect of the overdose from drugs. It looked as if I was sagging my trousers, it could tell on me because people kept telling me I was emaciating, I no longer looked as fat as I used to be,” she narrated. The easy accessibility of these drugs adds to the growing abuse and misuse of drugs among youths. Young Nigerians get these drugs on the streets, in open places; more worrisome are the pharmacy outlets that sell these drugs without prescription from physicians. No wonder the Pharmaceutical Society of Nigeria (PSN) and other relevant bodies are pushing for the Pharmacy Bill to help control the sales of these drugs and give punishment to violators. Helen said: “ We get tramadol and codeine from the pharmacist. There is this lady who sells only to us after school. “We got the drugs from the corner and we bought it for N100, N200,” she said. 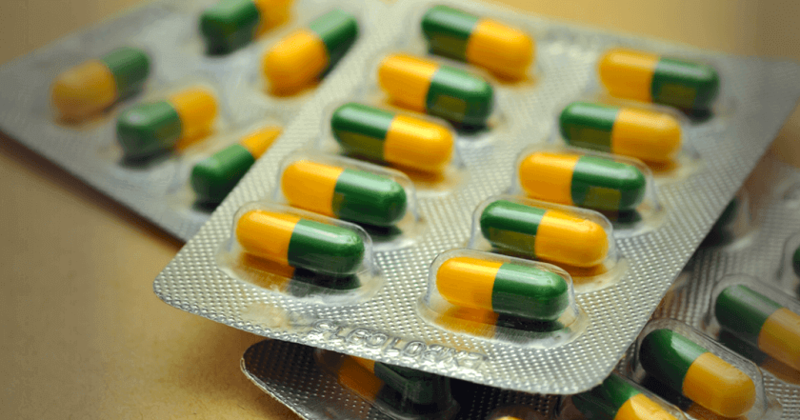 Meanwhile, the National Agency for Food and Drug Administration and Control (NAFDAC) said it confiscated containers of tramadol with a street value of N193 billion for a year. According to the Director General, Prof. Christianah Adeyeye, about 23 out of 80 40 feet containers on the agency’s watch list since November 2017 were examined and found to contain tramadol. The examined containers consist of 128,922 cartons of high strength of tramadol (120mg, 200mg, 225mg & 250mg), which was estimated at a total 6,446,100,000 in addition to 321,146 cartons of other unregistered pharmaceutical products. She noted that the worth of tramadol alone on the street is estimated to be about N193, 383,000,000 on an average cost of N1, 500,000. Adeyeye added that about 23 40ft containers examined so far were loaded with Tramadol of various strengths from 120mg to 250mg Tramadol and other unregistered pharmaceutical products that are known to be injurious to the health of the public, most importantly the teeming youths, which make up over half of the country’s population. Although in Nigeria, Tramadol is regulated as the 50mg and 100mg dosage strengths, very high dosage forms of 200mg and 225mg have infiltrated the market. There is also noticeable increase in smuggling of Tramadol capsules. The DG, however, said the prevention of these dangerous drugs from entering into the Nigerian markets would protect millions of youths from hazards of drug abuse, misuse and addiction which can pose threat to families, Nigerian workforce and the security of the nation at large. Narcoticsаareе the most dangerous drugs when misused and abused. These drugs reduce physical and psychological sensitivity, resulting in loss of contact with reality, sense of euphoria, reduces fear, tension and anxiety. 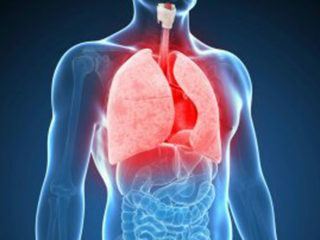 It also reduces physical activities of the users and cause drowsiness, constipation, nausea and vomiting in some individual. High doses of thee drugs sometimes causes unconsciousness, coma or death, while addiction, which is characterised by a compulsion to take drugs on a steady basis in order to experience its mental effects, leads to habitual dependence on drugs which gives rise to mental, emotional, biological or physical, social and economic instability. According to Helen, whenever she took the drugs, she felt highness, which was the euphoria she derived from it. She also got depressed, angry, aggressive, and violent, engaged in fights, and most times felt like an adult of 40 years old. This led her to take drastic steps that could end her life, as she no longer felt or thought like a normal human. Mental health disorders and affective disorders in general, particularly depressed mood is a risk factor for suicidal behavior in the general population and among addicts. Drug use is another very important fact relating to suicide attempts and cases. It is known that heroin and sedatives are substances with which suicide attempts are most often made, while other drugs are less characteristic. Suicidal addicts tend to have certain emotional problems and behavioral problems that strongly affect their activities, primarily as impulsive reactions and the inability to control behavior. About 90 per cent of all cases of suicide were found to be one or more of psychiatric disorders. People into alcohol and/or drug abuse and misuse attempted suicide nearly six times more often than people who do not abuse these substances, according to a study published in the U.S National Library of Medicine, National Institutes of Health. The study further revealed that in women, the use of substances increases the risk of suicide for 6.5 to nine times compared to women non-addicts. The report further stated that in most cases, drug addicts attempt suicide by overuse of drugs or an overdose, or a combination of drugs and tablets, while in fewer cases; the suicides attempted are not directly related to drugs. Statistics by the World Health Organisation (WHO) estimates that each year, approximately one million people die from suicide, which represents a global mortality rate of 16 people per 100,000 or one death every 40 seconds. However, there are projections that the rate of suicidal death would increase to one every 20 seconds by year 2020. Suicide is currently among the three leading causes of premature death among young adults between the ages 15-44 in both male and female. Suicide attempts are five to twenty times more common than the completed suicide. Youth suicide is increasing at the greatest rate to an extent that they are now the group at highest risk globally. Further breakdown of suicides globally shows 55 per cent are aged between 15 to 44 years, while 45 per cent are aged 45 years and over. Approximately five per cent of adults attempt suicide at least once in their lifetime. In Nigeria, the rate of suicide from drug overdose and addiction among young people is alarming. Early December 2018, a student of the Faculty of Agriculture, University of Ilorin reportedly committed suicide to vent his frustration over his failure in his final year project. After a series of investigations by the school management on the cause of his death, it was revealed that the late Adigun Emmanuel Adewale died from drug use. Reports from the investigation showed that Adigun, who hailed from Oyo State took his own life as an eventual culmination of his pathetic drug addiction to address the prolonged depression he suffered as a result of personal challenges he could not bear. It was further learnt that the deceased, who had been in his depressed state had unsuccessfully attempted suicide thrice, having publicly expressed profound regret on many occasions that it was his ‘nagging younger sister’ that was sponsoring his education. It was added that his alleged drug addiction, courtesy of peer group influence, frustrated all the rehabilitative assistance that was rendered to him to the awareness, admiration and appreciation of his family members. Irked by the rising incidence of drug and substance abuse among youths in Nigeria, MTN Foundation, through its Youth Empowerment Cause has launched project Anti Substance Abuse Programme (ASAP) to address the menace in communities as well as addiction among students. Speaking at the launch of the project, in December 2018, the Chairman, MTN Foundation, Prince Julius Adelusi-Adeluyi, said with reports on the rising cases of drug abuse in the country, Nigeria may be on her way to creating a generation of drug addicts, which he said needs collective efforts from the government, media, professional bodies, non-governmental organisation and security agencies to raise public awareness and advocate for more effective methods to address this national issue. “Every day, millions of young Nigerians are at risk of opioid addiction. They could be our family members, neighbours, and friends. This is why we must ensure that the conversation does not stop and all hands must be on deck. We must also do as much as we can; as fast as we can to educate our fellow citizens before they succumb to the temptation of taking drugs for the first time and we owe it to ourselves and children, the task of creating a world where they can become useful members of society,” he stressed. To mark International Day against Drug Abuse and Illicit Trafficking and improve quality of drug abuse reporting, the PSN had last year partnered the media so as to curtail the adverse effect associated with substance abuse. Immediate Past President, PSN, Ahmed Yakasai, told journalists that in Nigeria, the issue of drug abuse had reached an unprecedented level across all the geopolitical zones of the country. 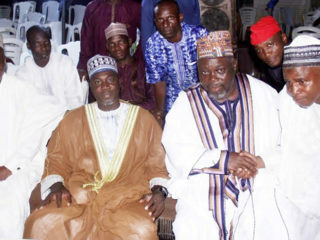 Nevertheless, the PSN and her technical groups, PNS-Narcotics and Drug Abuse Committee as well as state branches across the country have been educating people on the dangers of drug abuse. “We have also called the attention of the government and other stakeholders to this menace. We believe that with utmost commitment from all stakeholders, we can reduce drug abuse to the lowest ebb in Nigeria. Our focus should be more on prevention of drug abuse as well as treatment of drug addiction in various parts of the country,” he stated. Registrar, Pharmacist Council of Nigeria (PCN), Elijah Mohammed said that blocking the supply source, demand reduction through public education, social re-orientation and moral or ethical regeneration could help curtail demand of drugs and reduce the effects significantly. “It is therefore paramount for us to have a good drug distribution system that can guarantee safe, efficacious and affordable medicines across all levels of health care delivery in Nigeria. 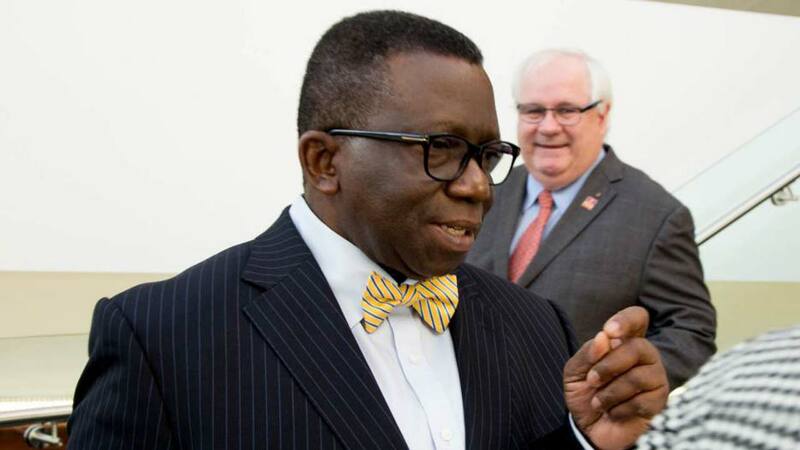 For a long time, our drug distribution system in Nigeria has been in a shambles and disarray due mainly to poor regulation occasioned by absence of political will by successive Governments at the centre,” he said. She said NAFDAC is assiduously working with governments in South-East Asia to stop allowing drugs that will destroy our youths to leave their shores. “For example, the prescription strengths of tramadol for medical purpose are 50 mg and 100 mg and they can be imported and prescribed with stricter controls. However, the higher strengths of 120mg, 225mg and 500 mg are being exported and marked as ‘For Exports Only’ by China and India and being shipped to Nigeria. These strengths are not allowed in these countries but they don’t see any problem in exporting them to our country. Therefore, plans for high-powered discussion are underway to have a bilateral agreement that what is not good for their countries should not be shipped to our country,” Adeyeye said. 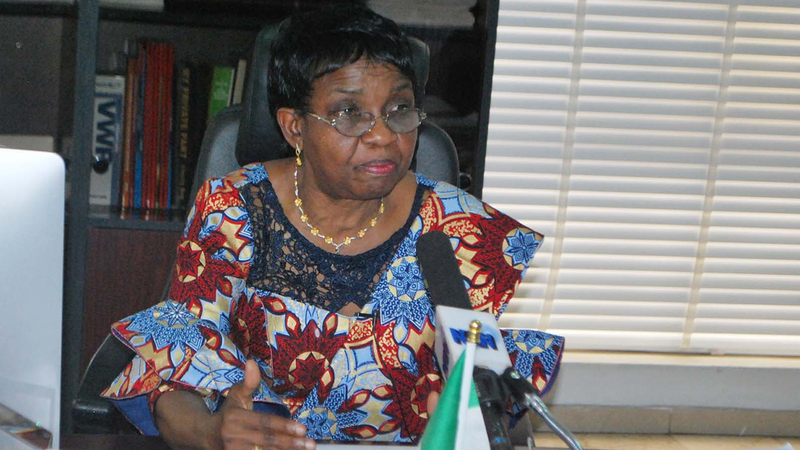 The NAFDAC DG said the National Assembly could help to rid the menace of drug abuse by raising the tempo nationally through the support of the Drug Safety Bill that will impose stiffer sentences for drug peddlers instead of arresting the youths that have become the victims of drug addiction. She said the judiciary should stand up against drug abuse because the addiction to drug has touched most families in Nigeria and it may touch the families we think are immune. The pharmacist said NAFDAC’s Investigation and Enforcement Directorate is working day and night to ensure the prosecution of drug peddlers. She said three persons involved in the distribution of the banned tramadol have been arraigned at the Federal High Court, Lagos and the Agency secured the conviction of one of the distributors and the court ordered the destruction of the seized consignment. 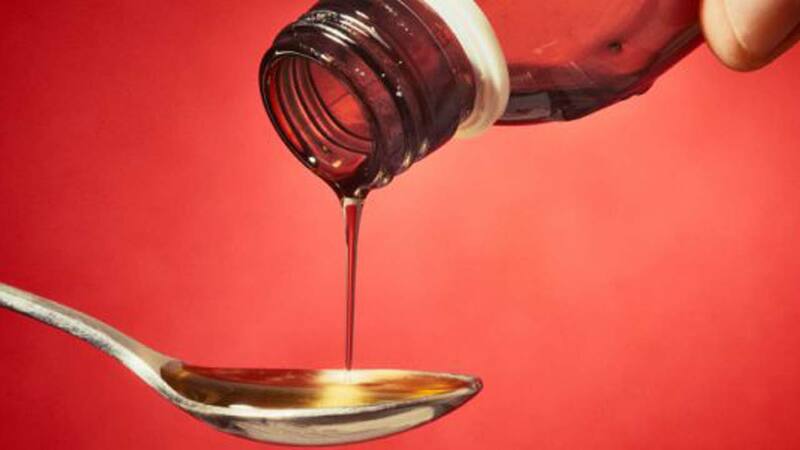 Adeyeye said three pharmaceutical companies were temporarily shut down over poor distribution practice of codeine-containing syrup and sanctioned.